Coventry City attract interest from new bidder. Coventry City have been approached by an Asian consortium looking to take total control of the club. 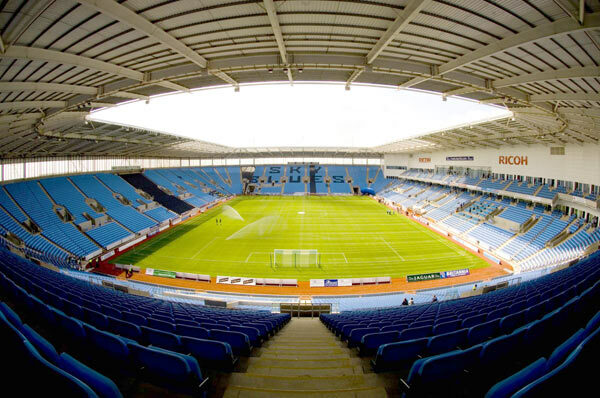 The proposed bid – from investors from companies based in Singapore, Malaysia and China – would look to not only take on the club, but also the side’s rented ground at the Ricoh Arena. The Sky Blues have been in administration since March, after a year long row with the owner’s of the Ricoh Arena, ACL, over unpaid rent for use of the stadium. Last week administrator, Paul Appleton, set a deadline of May 31st, this coming Friday, for all bids to be received by. Michael Byng, a lifelong Coventry fan and representative for the consortium, confirmed to BBC Coventry & Warwickshire that they were yet to formalise the bid, but were in the process of doing so. “We received all of the documents on Friday afternoon,” he said. “We then looked at them and looked at all the pieces we needed to put together to make a compliant bid. The consortium is also looking to take charge of the Ricoh Arena, which is currently owned by Arena Coventry Ltd, who manages the stadium on behalf of its joint-owners, Coventry City Council and the Alan Edward Higgs Charity. And Byng said that the consortium felt to own both the football club and the stadium would help create a sustainable business. “In modern football, a football club has to control its revenue streams from the ground because otherwise you can’t fund a successful team,” he said. A successful bid would rival the proposed offer from American Preston Haskell IV, the only other deal on the table for the Sky Blues. But Haskell’s bid is dependant on receiving an assurance that he would be buying the arm of the club which owns the ‘Golden Share’, entitling membership of the Football League and the Football Association. « Tim Fisher: No plans to move Jimmy Hill statue without consultation.